Switch to record, aim, press the start button, zoom in/out and stop. This is how you do film making, don’t you? We all have done it this way and found the results of our video can be rather poor and boring. To produce a compelling video of a birthday, wedding or your holiday memories, you have to follow a proven plan, the rules of good video and apply a few tricks which add a little spice to your production. The user manual doesn’t explain how to shoot an interesting video. On the internet you may find little pieces of advice, but hardly anything which shows or explains the basic concept of film making. On the other hand, who wants to go to school again spending hundreds of dollars and many hours of traveling to attend a camera course in town? your courses. Finish each module on your own time, when you can give it your full concentration. Adobe Acrobat, which is a free download. study methods for different types of learners. 5. More affordable than classroom driven courses, so you can learn more for less. By following this formula you are able to produce a video production, which leaves your audience in awe and admiration. 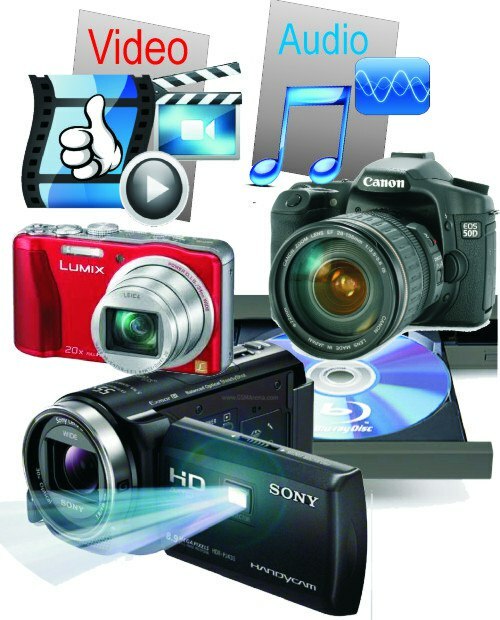 Find all your filmmaking, camera and video know how from the one address – ALL-CAM /e-Study. Well structured straight to the point, easy to follow downloadable ‘How to…’ film making and camera courses for the beginner and intermediate camera user. Constantly updated material keeps you abreast with latest developments in the industry. The latest articles and videos about film and television technology widen your horizon on the subject. Support and backup to resolve any technical or film making problems you may encounter in the future. Courses focused on the technical aspects of film and television, which complement your film making skills. Technical television and camera know how from high school-, and college-, up to university level. Whether you are a home video maker, an amateur filmmaker or an aspiring producer, you can benefit from ALL-CAM’s e-Study courses. Learn how your camera and equipment works and utilise all features for outstanding results. Complement your existing film knowledge by integrating the technical aspects of filming, and have the base knowledge you need to get the most out of every filming opportunity. Make your camera work for you, instead of working around it. DON’T WAIT! Grab special offers, free videos and articles while available. Learn online, at your own pace, while you attend film school, or just whenever you want to improve your technical film knowledge. Unique Content: Learn tried and proven methods from an experienced camera technician. Find out how to manage your camera with confidence – whether you are using it for movies, TV, or your own personal entertainment. Get only the valuable information you need to enhance your skills, instead of having to muddle through filler content to get to the good stuff. Several Delivery Methods: videos, podcasts, and e-books cover all the angles in a fun, easy to learn manner. Photos and diagrams help you understand the lessons at hand. Free Updates: become a lifelong learner, and keep abreast of all the new trends in film technology today with a lifetime of free learning updates on any course you purchase. Don’t wait another minute – start improving your technical filming knowledge and see just how far a great background in camera technology can take you!